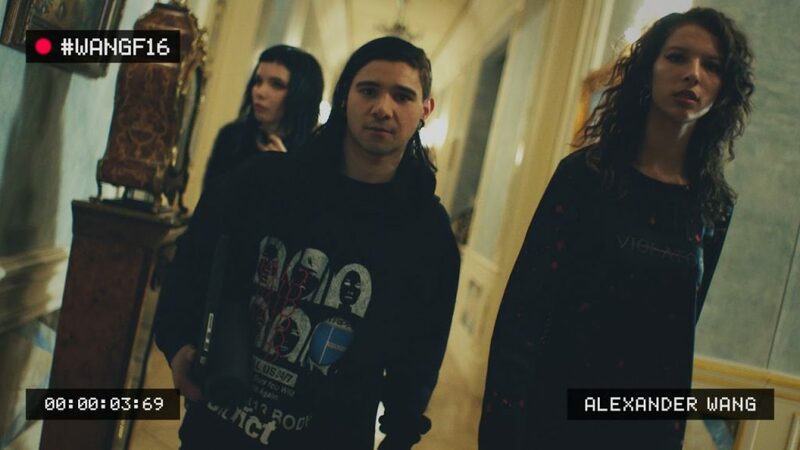 Skrillex has once again delivered a track that has all the qualities of a great banger. Shot by Director X, the #WANGF16 campaign transports the viewer to an uninhibited house party. In a series of films, the star-studded cast takes over a Beverly Hills mansion. The song is the perfect background music for the festivities taking place. The drop builds up with lyric’s from Vic Mensa’s “No Chill” and once it hits, like the stars in the video, any party would go wild. Sadly, I don’t think we’ll be seeing an official release of the song. According to the description on the video, “Crown Vic“, was created exclusively for the Alexander Wang campaign. Looks like this track will be following in the footsteps of another song Skrillex did for G-Star RAW, “Puppy“. It was created exclusively for the commercial and never got an official release. While I love the song, I don’t think its convinced me that I can afford Alexander Wang. But check out the video below! Features in the video include: Alice Glass, Alice Metza, Anna Ewers, A$AP Ferg, Big Sean, Binx Walton, Black Atlass, Curren Caples, Hanne Gaby, Issa Lish, Katie Moore, Kylie Jenner, Lexi Boling, Metro Boomin, MØ, RL Grime, Skrillex, Tinashe, Tyga, Vince Staples, Yana Bovenistier, and Zoe Kravitz.